Running on the 5th and 6th of June, the conference blends a professional programme with a workshop academy and technology exhibition. DJs and promoters already lined up include Dave Clarke, Steve Lawler, Tom Demac, Nick Hoppner, Alex Banks, Max Wheeler, Wiggle, C-Soul, Robert Owens, SEFF, Phil Kieran, Rebekah, Ralf Kollmann, DIY, Alex Arnout, A Skillz, Evil Nine, Back To Basics, JFB and many more. The events will take place across venues and clubs in Brighton including Patterns, Neighbourhood, The Tempest Inn, The Arch, The Hub, and beyond. Access to Music will host the first official BMC Under 18s party, a free event reflecting the conference's position as the only type of electronic music event that caters for students and the next generation of talent. 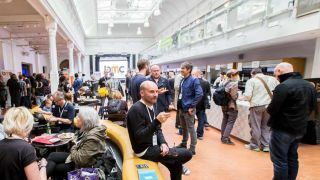 Networking events take place from Friday afternoon onwards and will be free to BMC Professional pass holders on a first come, first served basis. New additions to the extensive programme of panels and discussions include Russ Yallop, Luke Solomon, Spotify's Glenn McDonald, Mark Broadbent, WarnerMusic's Anton Partridge, Judge Jules, Robert Owens, John Truelove, Deep House London's Marcus Barnes, and Ralph Moore.